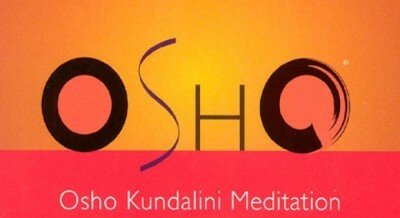 Osho Kundalini Meditation is the evening 1-hour meditation to awaken the sleeping Kundalini energy within. 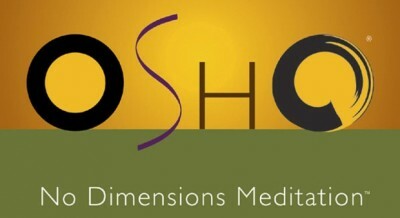 Osho Kundalini Meditation is a shaking and dancing meditation in four stages, best done at sunset or in the late afternoon. 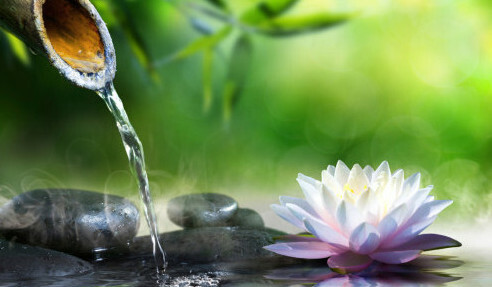 This meditation helps your energy to flow and to be transformed into bliss and joy. By being fully immersed in the shaking and dancing of the first two stages, you ‘melt’ any blocks in your body and being, bringing a liquid flow to places where your energy feels blocked. The last two stages are there to move your energy upwards into silence. It is a highly effective way of unwinding and letting go at the end of a busy day. However, it is an individual experience so you should remain oblivious of others around you and keep your eyes closed throughout, preferably using a blindfold. It is best to wear loose, comfortable clothing.Osho Kundalini Meditation lasts for one hour and has four stages, three with music, and the last without. 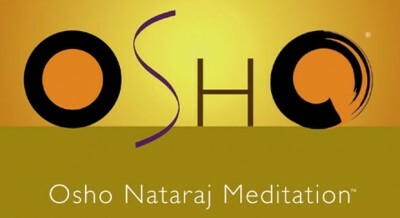 The music has been composed under Osho’s direct guidance specially for this particular meditation. If you would like to try, it is described below. Remember that the last stage is in silence! … and a gong will signal the end of the silent period. Be loose and let your whole body shake, feeling energies moving up from your feet. Let go everywhere and become the shaking. Every part of your body should shake . Keep your knees unlocked, and keep your feet firm to the ground. The shaking is in a vertical subtle rhythm but if shaking takes over and becomes intense, become an observer and let the awakened energy do the shaking. Your eyes may be open or closed, preferably closed so that energy doesn’t go into concentrating on things around in the room. Dance . . . any way you feel, let the energy that has arisen within move your hands and feet in an expressive dance..
and let the whole body move as it wishes. Close your eyes and be still, sitting or standing . . . witnessing whatever is happening inside and out. Do not open eyes and move around trying to find a cushion for sitting. This will disturb the energy flow and all our effort of 1st and 2nd stage will go in vain. Keep your eyes closed, lie down and be still. Let you body go into a deep relaxation, and energies to settle down. The mind becomes completely relaxed, only a small flame of awareness remains within. This meditation is usually done in the afternoon to let go of the accumulated stress of the day. Kundalini is the sister meditation to dynamic meditation. 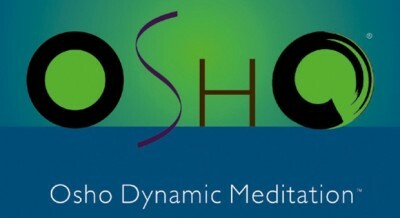 Osho has spoken a lot about Kundalini energy in many of his discourses. Here are a few questions asked to Osho.Kundalini is not itself a life force. Rather, it is a particular passage for the life force, a way. But the life force can take other ways also, so it is not necessary to pass through kundalini. It is possible that one may reach enlightenment without passing through kundalini – but kundalini is the easiest passage, the shortest one. Is it helpful to visualize and know what is happening during meditation – for example, the movement of kundalini and the opening of the chakras? There are chakras, but the number differs with each individual. One may have seven, one may have nine; one may have more, one may have less. That is the reason why so many different traditions have developed. Buddhists talk of nine chakras, Hindus talk of seven, Tibetans talk of four and they are all right! Osho, How was it possible that a man like Gurdjieff, a man of such great understanding, did not understand the idea of kundalini energy? Osho – “He called it kundabuffer. He was very much against the idea of kundalini. He used to say that the worst thing that could happen to a person in life is the arousal of kundalini. The questioner, naturally, is bewildered. But you don′t understand the real meaning of Gurdjieff. He called it kundabuffer because of the nonsense that theosophists have created in the world. They talked so much about kundalini, the serpent power, and it was all gibberish; they knew nothing about it. They were just fabricating, they were just inventing theories and ideas. It was all guesswork. In fact, out of a hundred books that are written about kundalini, ninety-nine are absolute nonsense. And the people who had gathered around Gurdjieff had come through theosophical philosophy, hypotheses, doctrines. He was shattering their knowledge; he was not saying anything against kundalini. How could he say that? He knew far better than Blavatsky, Annie Besant, Alcott, Leadbeater – he knew far better than these people. These people were only experts in creating doctrines, and really they were great experts. They had created almost a world movement – about auras and colors and kundalini…new words from the ancient spiritual lore. And they created worlds, imaginary worlds, around those words. Gurdjieff is right to call it kundabuffer. And Gurdjieff is right in saying that the worst thing that can happen to a man is the arousal of kundalini. But remember always that he was talking to his disciples, in a particular context. He was shattering the knowledge of his disciples about kundalini power – because the first step of a master is to destroy your knowledge, because your knowledge is basically false, borrowed. Before you can be made familiar with the truth, the untrue has to be taken away. Sometimes the master has to be very merciless, and sometimes the master has to say things which are not really so. Kundalini is not a wrong idea, but for ninety-nine percent of people, Gurdjieff is right. Now there are again people like Gopi Krishna, who are writing books on kundalini and the serpent power, and the great genius that comes through it. It has not even happened to Gopi Krishna! What kind of genius has he? At the most, the only proof that he has given of his genius is some absolutely worthless poetry, just like the poetry schoolchildren write. He has been a clerk his whole life. His poetry smells of his whole life′s clerkship – it stinks! It has no beauty, it has no grandeur – it has nothing of the superb. And now he is propounding around the world that when kundalini arises your latent power of genius becomes manifest. How many yogis have won the Nobel Prize? And how many yogis have contributed to the world′s scientific knowledge, art, poetry, painting, sculpture? How many of your people whose so-called kundalini has arisen have contributed in any way to the world′s richness? What Gopi Krishna is talking about is not kundalini but kundabuffer. Gurdjieff would have put him right with a single blow. But he attracts people. People are very much attracted by mystical nonsense, by occult stupidity, by esoteric gibberish. Just start talking with people about chakras, centers of energy, and kundalini passing through them, and they are all-attentive. You just try it! There is no need to know anything about it – just invent…because Jaina mystics have not talked about kundalini, Buddhist mystics have not talked about kundalini, Christian mystics have never known anything about it, Sufis are absolutely unaware of this energy called kundalini. Only Hindu yoga talks about it. There IS something in it, but not exactly the way it is told to people. The knowledge that is floating around about kundalini is all nonsense, and Gurdjieff was right to condemn it. He was condemning the whole theosophical movement. Theosophists were very much against Gurdjieff. They knew nothing, but they created a great movement. They were more or less political people, scholars, logic-choppers, but not in any way realized souls. Gurdjieff shattered many beliefs.” from the book,’ Dhammapada: The way of the Buddha, Volume 2′.